As it is Breast Cancer Awareness month this October, we’d love to remind you of our yoga for cancer care classes with Barbara Gallani. Yoga isn’t a cure for cancer, but it can help people thrive through cancer experiences. A cancer diagnosis is often a life-changing one. But not for the reasons you think. It can be the diagnosis to wake up to a new way of seeing life. Cancer can force a slowing down, someone who loved workouts may now see the benefits of working-in, the benefits of slow yoga, especially for cancer patients, of Yin Yoga, of Yoga Nidra, Meditation and Mindfulness. For those who’ve had surgery, gentle yoga a few months after the surgery can really help with reconnecting to the body. 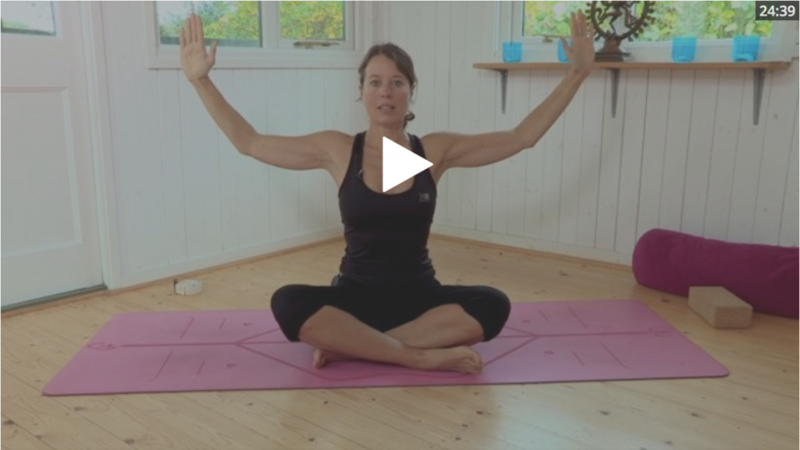 Studies have shown that yoga can lead to a better quality of life amongst cancer patients, reducing depression, reducing daytime dysfunction, aiding sleep – and a lot of anecdotal evidence is out there to say how much specific poses for cancer can help with joint aches and just help folks to feel good about themselves again. Many of the practices in Barbara’s yoga for Cancer Care series are useful in dealing with joint pain often associated with chemo. The breath work and meditation is a wonderful lesson both in non-attachment, and in focusing on the beauty of the present. Chemo can leave patients feeling terrible for weeks after, and feeling like they’re fighting a daily battle – in fact, all our language around cancer is around a fight. Indeed, cancer can feel like your body has committed an act of war against you. But fighting can leave us feeling exhausted and vulnerable. Yoga can be a useful tool to reconnect back to your body, and find peace with yourself again. All too many of us are affected by cancer, whether it’s through friends, loved ones or ourselves. It is our hope that these classes may be one of the things you can use to help anyone living with or recovering from cancer. Please only practice once any surgical incisions have healed and with the advice from your doctor. 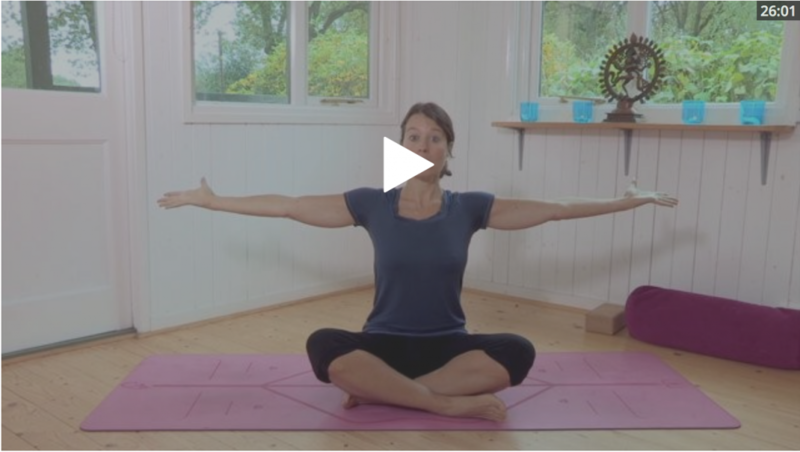 All the videos below are available on our 14-day free trial and you can always access the full version of Yoga For Cancer Survivors (1): Lymphatic Flow here. You might also be interested in our Take Heart Course, specially designed for those recovering from a period of high stress or illness. 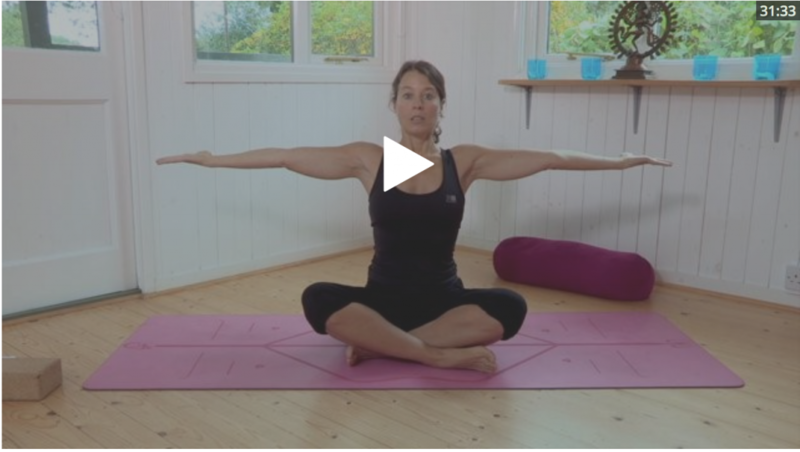 The focus of this session is to stimulate lymphatic flow through slow movements of the arms and legs and gentle twists, in combination with deep and regular breathing. As the lymphatic system has no organ to pump the lymph around the body, it is important to use movement and breathing to keep the immune system active. 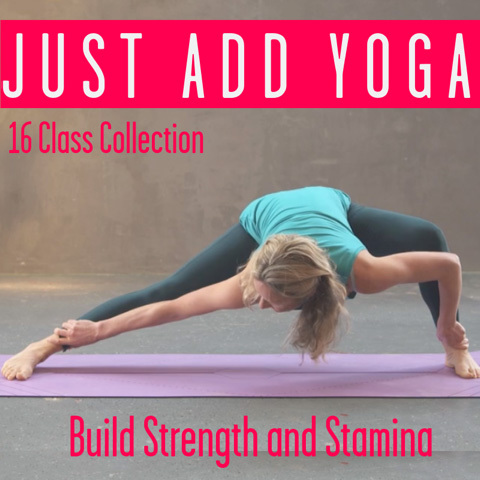 The sequences in this session aim to strengthen the body through micro-movements and mindful leg and arm lifts using the support of the floor throughout. This is a grounding session which will allow you to deeply connect with your body while bringing strength to the muscles weakened by treatment or inactivity. This class is also great for those recovering from any bout of sickness or ‘flu as your body gently gets its strength back.